Kelley School of Business Evening MBA Program and YPCI present the April YPCI Happy Hour. Join us at Tinker House for one of our first Friday #ypcihappyhour for appetizers, drinks & as always, the best networking in Indianapolis. We're excited to extend the hours from 6-9pm on a Friday to allow for more time and networking without early work hours looming over the room! Since 2000 our mission has been to connect emerging young leaders through professional development and networking to provide Central Indiana with its next generation of leaders. Our vision is to connect professionals and promote the value of networking at an earlier point in one’s career and foster relationships among Indianapolis’ young leaders that will last a lifetime. Is your career where you envisioned it? If you have a bigger vision for where you want to be, the Evening MBA program at the Kelley School of Business in Indianapolis will help you get there. Our 24-month part-time program is designed for working professionals. Take classes two nights per week: once downtown at IUPUI, once online. Why Kelley? Our focus on hands-on learning, our redesigned curriculum, and the Kelley network that opens doors across Indiana and beyond. It’s why the Evening MBA is ranked #9 in the country and #1 in Indiana (US News, 2020)—and why our students are propelled to executive-level positions. Learn more at kelley.iupui.edu/evening-mba. 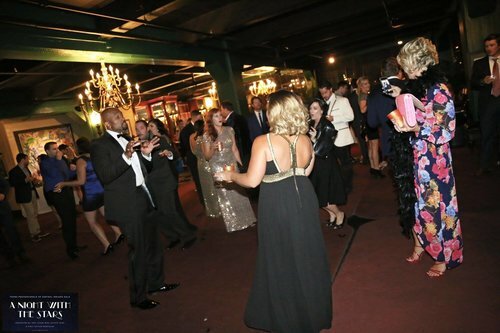 Tickets get you access to TWO drink tickets and light appetizers! Members use your email address as the promo code to acess free tickets to happy hours. If you are a motivated young professional, you owe it to yourself and your company to attend the 2nd edition of our YPCI “Lunch with Local Leaders Series” luncheon on Friday May 10th from 11:30am-1pm. You’ll get enlightened professional development advice from a high profile local leader and the opportunity to network with other young professionals around Indianapolis. The $20 ticket price includes a full lunch buffet for attendees. The YPCI board plans on holding several of these luncheons throughout the year with local leaders from various industries across Indianapolis. In partnership with the Columbia Club’s Harrison Society, we plan on hosting this series at the Columbia Club for the forseeable future. Maggie Daniels, founder of Try It Tiny, will speak about her career path progression from a successful NYC-transplant Investment Banker to a budding successful entrepreneur back home in Indiana. You will hear her discuss all aspects of her entrepreneurial path, including her inspiration, her challenges, and the biggest lessons she has learned along the way. The audience will also have the opportunity to ask Maggie what other questions they might have. Try It Tiny is a shared-economy platform where users can list their land or tiny house for rent. The company’s mission is to provide an affordable, diverse and community-based solution for tiny house enthusiasts everywhere. Try It Tiny connects people to give them the opportunity to rent a tiny house or share their land with tiny house enthusiasts nationwide. Exclusive to active YPCI members and Columbia Club Harrison Society members. Attendance is being capped at 60 attendees to maintain intimate environment for attending guests. To become a YPCI member today, go to https://www.ypci.net/join/ to signup. YPCI membership is only $50 per year! Join us and prominent leaders in Central Indiana’s healthcare industry to discuss the state of Indiana’s health ranking and how our community is adapting to address the State’s low health rank. Panelists from major healthcare employers will be discussing changes in education, technology, treatment and business operations in order to improve the State of Indiana’s health ranking. There will be time to network and further connections with others in the Healthcare industry. We’re excited to offer this collaboration amongst healthcare leaders and see how we can come together as providers and deliver quality care to our patients. Happy Hour and Networking event coupled with a panel discussion about Indiana healthcare networks and how we can improve our states health through discussions about barriers, collaborations, education, technology and challenges facing Central Indiana’s Healthcare networks. Join us this March, as YPCI partners with another local Indy YP group to throw one of our many upcoming joint YP events! YPCI & Young Professionals of Skyline partner together to throw a March Madness event! There will be basketball, appetizers, drinks & as always, the best networking in Indianapolis. We're excited to be partnering with the Young Professionals of Skyline to host this one-of-a-kind event at the Skyline Club of Indianapolis. Attendees are welcome to wear their favorite college team gear at this event! The mission of Young Professionals of Skyline is to foster an appreciation for and awareness of young professionals and to provide avenues to include young professional members in all areas of Skyline Club. 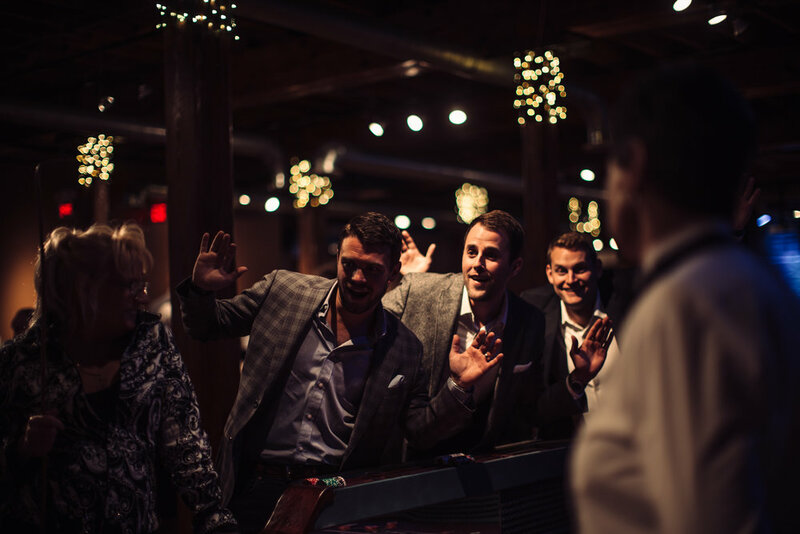 They strive to connect YP members with one another, with other members of the Skyline Club, and with other young professionals outside of the Skyline club. Their goal is provide professional and social programming to develop young professional members. Join us for our February Happy Hour at Tin Roof Downtown, presented by Market Street Wealth Management. Let’s combat those winter blues with some live music and great people! Tickets get you access to TWO drink tickets and light appetizers and as always the best Young Professional networking you can get in Indy! YPCI is Young Professionals of Central Indiana. Come hang out with us, meet Indy's YPs, do fun things, and make lasting, meaningful connections. Tin Roof: In 2002, the Original Tin Roof opened near Nashville’s famed Music Row to give musicians a place to play and a place to hang when they weren’t on stage. The tasty food, fun, eclectic environment, community of Regulars and friendly Crew helped quickly establish the Roof as the place to be for musicians and non-musicians alike. Over the years, our stages have hosted the famous, the should have been famous, and everyone in between. Join us for our January networking happy hour where we partner with the Harrison Society at the Columbia Club where we will be raising funds for the Center of Leadership Development (a local Indy non-for-profit)! The Young Professionals of Central Indiana (YPCI) and the Indy Chamber are proud to present the fifth installment of our annual series Higher Perspectives. This year, we will be convening Indianapolis business executives to share their vision on regional talent attraction and retention and how the incoming generation of young professionals will play a pivotal role in the vision of Indianapolis. We will explore the Accelerate Indy initiative that will be the vehicle in driving talent attraction and retention in Indy business. The evening will kick-off with open networking time with our guests (with beer, wine, and hors-d'oeuvres included!). Insights from our panel will follow. Join us for our September networking happy hour at Rathskeller! 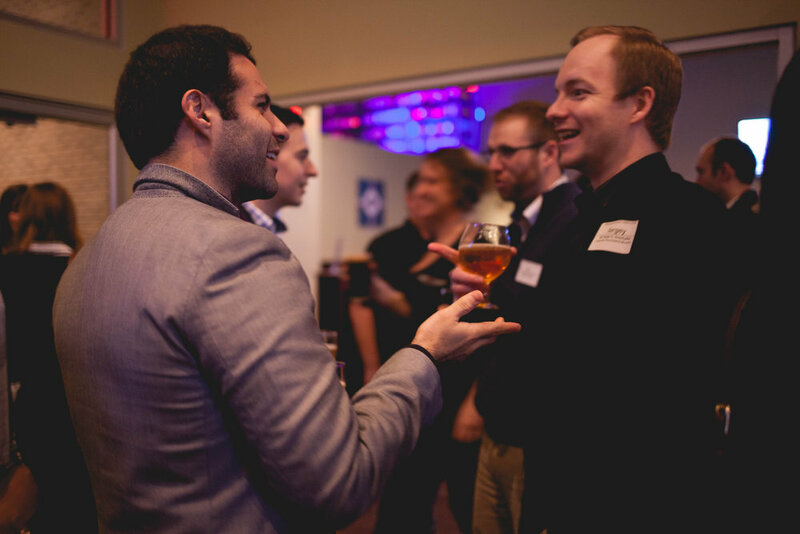 Come to cool off with a beverage (or two) and catch-up with your YPCI network! Hope to see you there! 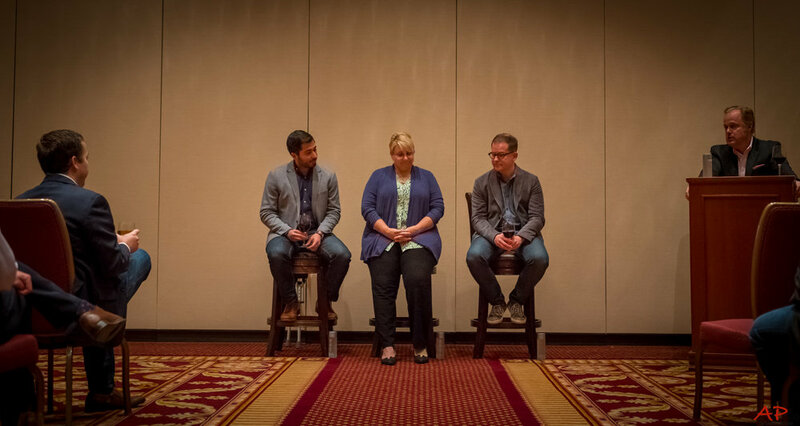 Join us for a panel discussion with Josh Driver (Founder, Open for Service), Kristian Anderson (Co-Founder / Partner, High Alpha), Julie Kratz (Speaker at Pivot Point), and Jeff Stickel (CTO, Kerauno) to look at the recent growth of the tech industry in Indiana. Within recent years the tech industry has blossomed into a significant sector of Indiana’s jobs growth. How is it recruiting talent? Can Indiana continue to recruit and diversify through the tech boom? Indiana has brought a lot of the mission-critical resources to the table that other industries might be missing out on. Enjoy some great draught beer and some light appetizers for our discussion on what’s happening and how young professionals can be a part of it all. Join us for our June networking happy hour at World of Beer on Mass Ave! World of Beer, has over 50 craft beers on tap, over 500 in the cooler and a menu of tasty tavern fare that’s crafted to go perfectly with beer. And whether you’re a beer master or just beer curious, their insanely knowledgeable staff is there to guide you through every last pint, pour, and pairing. So c’mon. Let’s go. Because there’s no better place to go around the world, one sip at a time. We're giving you plenty of notice so you can draft your best foursome(whether that be to maximize competitiveness or maximize FUN!) for this year's YPCI golf outing at Eagle Creek Golf Course! 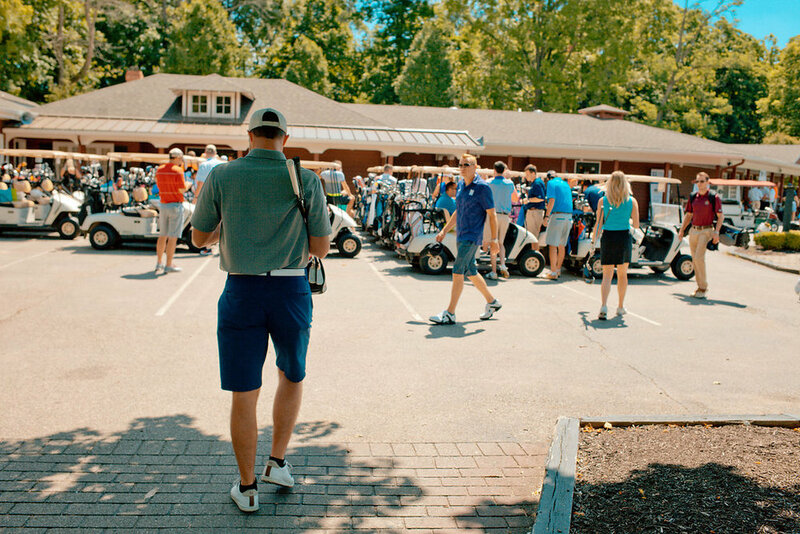 If you've never been golfing before, no worries – this event will house a healthy mix of amateurs, dabblers, and semi-pros. And if you don’t have a foursome, that ok! We will be allocating players to foursomes too; this is a great way to get in some good networking with a few newly met young professionals. Most of all, be prepared to have fun. You'll enjoy a fun afternoon out on the green while golfing, networking, food, bottomless adult beverages, prizes, and a large gift raffle at the post-golf reception – so plan on sticking around afterward. It's why this is one of our favorite events and we don't mind if we say so. This year we are encouraging players to use Uber and Lyft to get to and from the golf outing. We will be working with those providers to have rides available in the area once we are done. We want to everyone to have a good time but also make smart decisions. Our event sponsor for the golf outing this year is Goelzer Investment Management. Because Goelzer does a lot of charity work with Gleaners Food Bank, we have decided to donate all profits from the event to Gleaners. So buy those mulligans and raffle tickets because the money will be going to support a good cause! Join us for our April networking happy hour at Hotel Tango Artisan Distillery! Hotel Tango Artisan Distillery is located in the emerging neighborhood of Fletcher Place, which is conveniently found just minutes from downtown Indianapolis. It is the first service-disabled, combat-veteran-owned artisan distillery in the United States. Using locally grown grains, our spirits embody pure original character. Just like our spirits our tasting room reflects the same character and atmosphere with a cozy and unique style. Join us for our first networking happy hour of 2018 at Broken English Taco Pub! Broken English combines a unique take on Mexican street style tacos, refreshing beverages, eclectic music, and vivid artwork created by local talent. If you enjoy meeting young professionals, great-tasting beer, growing your network, and mouthwatering apps (http://www.tacopub.com/), this event is for you! Join us for our final networking happy hour of 2017 where it all kicked off - Prime 47! Celebrate the momentum of the past year and join us in celebrating the holidays! Don’t miss your chance to experience this epic Powderkeg Pitch Night at the Hi-Fi in Fountain Square. On Saturday, September 30, 2017, Friends of Riley will be hosting its annual event, Saturdays are F.O.R. the Kids. Join F.O.R. for the evening at Hotel Tango Whiskey’s newest event space, Tinker House Events. The event will feature live music by The Flying Toasters, local food, an open bar featuring Hotel Tango spirits, and an extensive silent auction! Check out this great event by our friends over at Building Tomorrow! The Indy Burger Battle is a grilling competition between 15 local restaurants. Enjoy burgers, beer, and music as restaurants grill their signature burgers on site in hopes of earning the title of Indy’s Best Burger! All proceeds from Building Tomorrow’s Indy Burger Battle will be put to work to achieve our mission of catalyzing communities and individuals in support of access to quality education for students in East Africa. Join our friends at Agave and Friends of Riley for the Social Under the Sails night of networking from 6PM to 8PM at the Eiteljorg Museum on Thursday, August 3rd! Drinks and light appetizers will be available. Tickets to the event are completely FREE, so sign up now!